“Please stand for the reading of God’s Word.” There it is: manipulation. Before you disagree, let’s get technical. Manipulation is the action of operating, arranging or controlling something or someone else. Any behavioral modification you influence as a preacher on the congregation is technically manipulation. But this stale procedural use of the word isn’t what prompts concern. It’s the other, more insidious version of manipulation defined as shrewd or devious influence that seeks one’s own advantage. This seems to be the kind of emotional manipulation that provoked the Apostle Paul to declare, “We have renounced the things hidden because of shame, not walking in craftiness or adulterating the word of God…” (2 Cor 4:2a, NASB). Paul’s rivals were those who used manipulative eloquence as an end rather than as a means to an end. They used Scripture for their own personal advantage and not for the great salvific benefit of those who heard them. To be sure, Christian preachers are tasked with the responsibility to persuade (e.g. 2 Cor 5:11). Our rhetorical prowess should render a point of decision for our audience. We should want them to do something with what we have cleverly presented from God’s Word. We should equally want to do it in such a way as to glorify God and not ourselves. Therefore, how do we understand the difference between biblical persuasion and emotional manipulation? Before discussing some of the distinguishing marks, let’s acknowledge that manipulation is a real issue in today’s pulpit. It’s not hard to come up with many well-known examples of charlatan pulpiteers who proffer spiritual goods to meet their own fleshly desires (I mean, who doesn’t need a jet plane?). Likewise, the centrality of God’s Word has been substituted in many churches for spectacular means aimed to evoke experiences worthy of sharing on social media. But let’s also turn the mirror on ourselves. If not checked, we all have a temptation to manipulate our congregation to serve our own advantage. 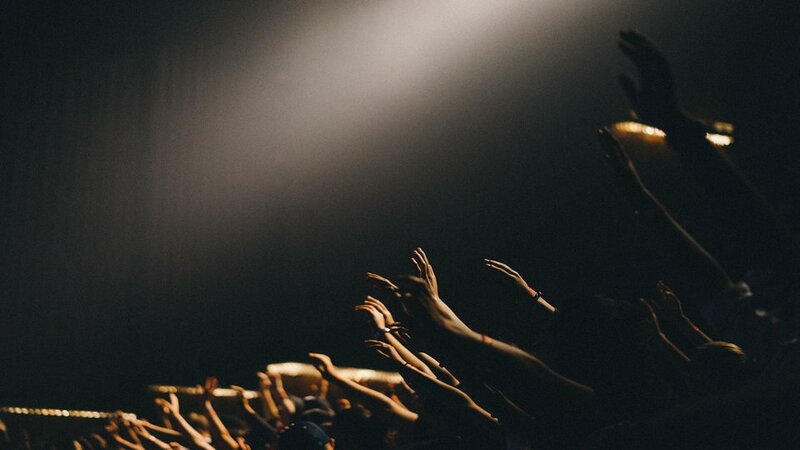 You may be preaching to get noticed for a bigger church. You may preach to get a video clip shared voluminously on Twitter. You may preach to “get back” at a small group of individuals causing you problems. You may preach to charm people so that they like you being their spiritual leader. We all manipulate on some subconscious level whether we admit it or not. Hammers are morally neutral tools. They can be used to build and to break apart The key issue is one’s intent with the hammer. The same goes for preaching. What is our intent for our use of biblical persuasion? Do we seek to honor God and His inspired text? Are we preaching to persuade people to trust Jesus Christ? Or do we see preaching as a platform to build our brand and stoke selfish ambition? Audiences can be fooled, but God cannot. He knows our hearts and we need to humbly saturate our sermons with daily prayer asking God to eliminate anything that is done for our glory and not His. A second key issue has to do with the truthfulness and integrity of what we proclaim. The reason we pejoratively use the moniker “used car salesman” is not because those who work in this field have tremendous rhetorical skill. It is because some (not all) have a reputation for persuading people to buy into something that is not actually true. For example, selling a car while also failing to disclose that that same car was recently flooded in a storm. Preaching avoids emotional manipulation when the integrity of our message is rooted in the truth of God’s Word which never returns void (Isaiah 55:11). If we root our sermons in religious clichés and pop-psychology not found in the Bible we only lead our people to ruin, akin to selling them a car that won’t take them to their intended destination. This is why we seek to be text-driven. God has already spoken and our weekly task is to re-present what He has already said taking into account the spirit, structure, and substance of each biblical text. We never have to worry about manipulation if the content of the text is driving the content of the sermon. Emotional manipulation seeks to fool someone else into doing something that does not serve their long term benefit. But biblical persuasion seeks the long term interest of both the preacher and the audience. Most preachers are not tempted to take financial advantage of their audience. But I have seen countless preachers manipulate their congregations for emotional advantage. This usually comes in the form of being liked. We’d rather be nice than make a long term impact in the lives of people. Therefore, we shave off the rough edges of Scripture to sound more palatable in our modern day culture. We preach the texts that make us sound like heroes. We avoid anything that leads to controversy and people leaving. The Apostle Paul sought to be persuasive, but also to help his congregation grow by serving their long term interest in the things of God. He said, “We proclaim Him, admonishing every man and teaching every man with all wisdom, so that we may present every man complete in Christ” (Col 1:28, NASB). It’s hard to be manipulative if we are other-centered in our approach. Now that we’ve distinguished persuasion from manipulation, what are some practical ways to avoid emotional manipulation? Read Part 2. Clay Smith is the Senior Pastor of First Baptist Church in Matthews, North Carolina, and a PhD student in Preaching at Southwestern Baptist Theological Seminary.